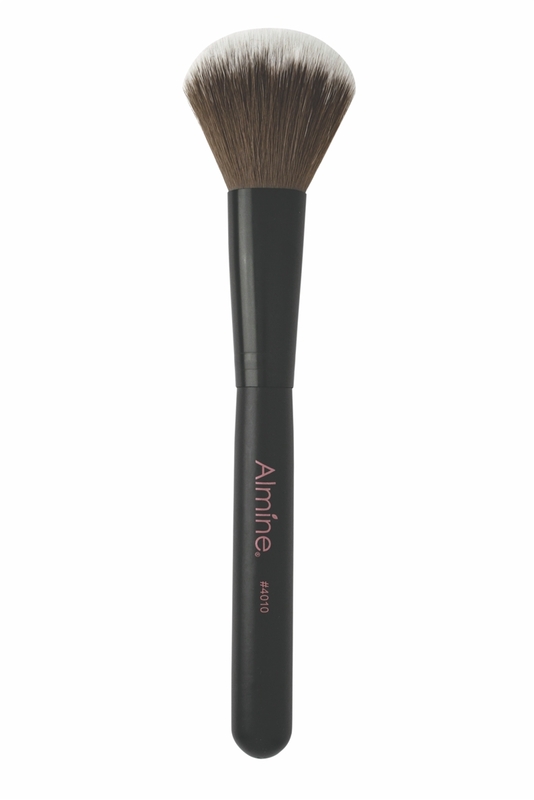 This brush has soft, plush feeling synthetic bristles. The oversized head applies product lightly and evenly over any skin type, leaving you with flawless results. 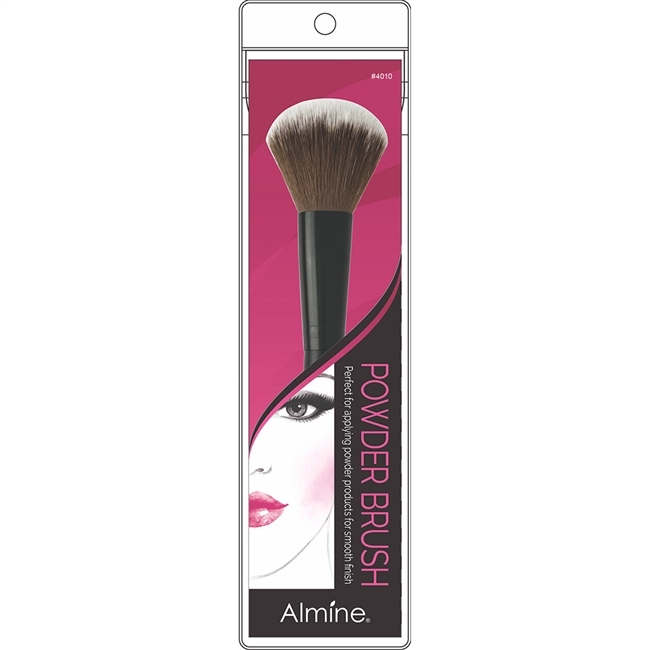 Almine Cosmetic Blush Brush 7.25" Long Brown Gradient Hair Almine Duo Tear Drop Sponge, 2 ct, Pink & Green Almine Silicone Pore Cleansing Pad, 2.5" Almine Nail Clipper w/ Catcher, 2.75"